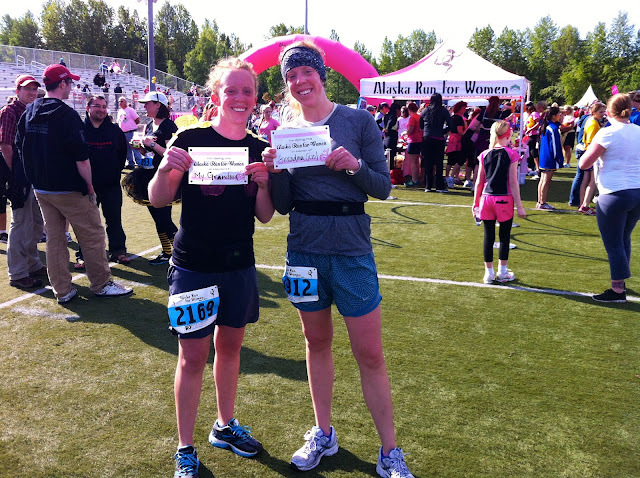 Leah and I ran in the Alaska Run for Women on Saturday. 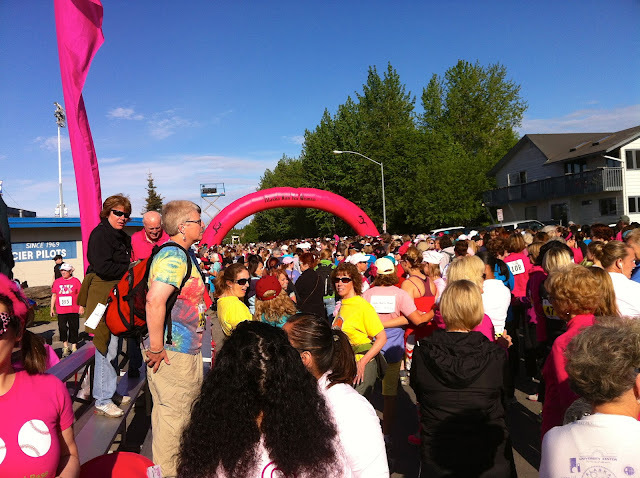 A 5-mile race that dedicates all proceeds to raise funds for breast cancer research and provide mammograms for low income and under-insured women, over 7,000 women run in honor and/or in memory of loved ones who have battled breast cancer. Since 1993, the Alaska Run for Women has "showcased the talents of Alaska’s women athletes through an annual women's run/walk event that serves as a vehicle for fundraising, participation, awareness and competition, and grant making to organizations concerned with breast cancer research, education, outreach, prevention and early detection." 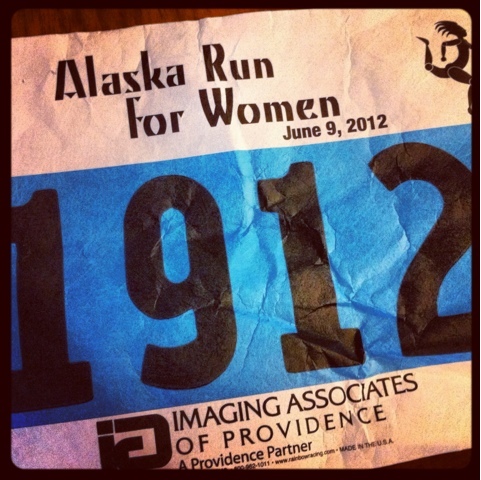 This is the third year Leah and I have participated in the run. 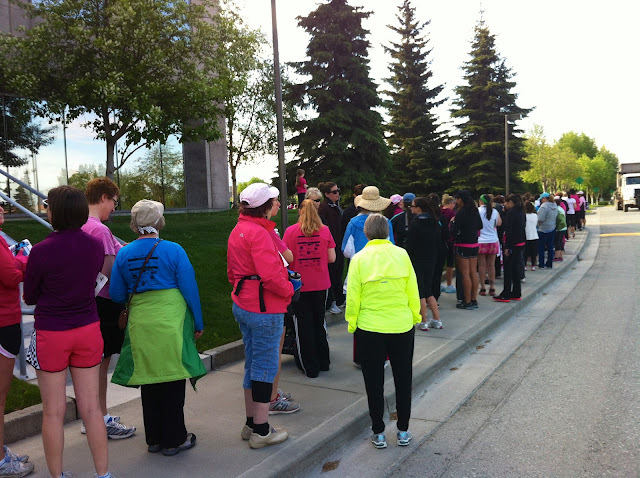 Always running for my grandma, the race provides me the opportunity to show how proud I am of my grandma to beat this deadly cancer...and how she has become an inspiration for our whole family. 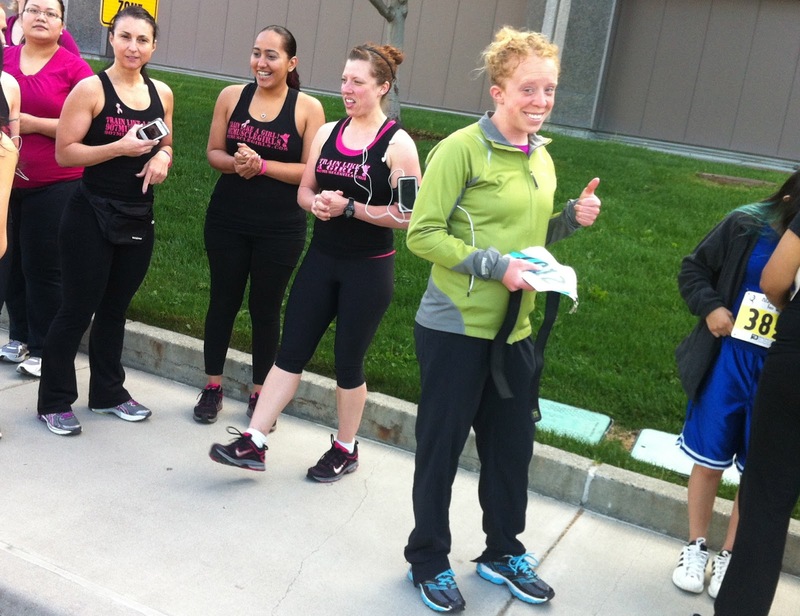 ...so we waited patiently and ended up starting our times run about 15 minutes late. Oops! The race was still a great time and we both felt pretty good after finishing...especially because we were able to show our support for Grandma!